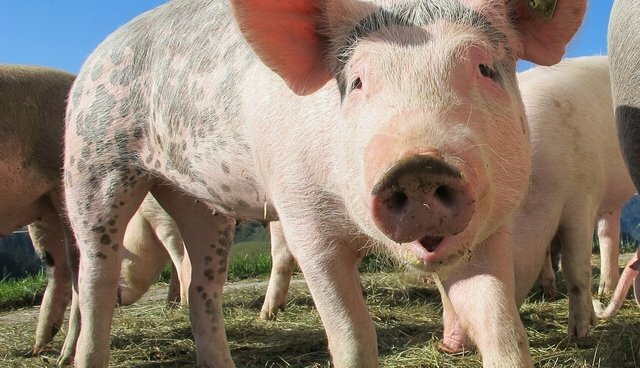 Hold the carnitas: Chipotle is putting the welfare of farm animals ahead of profits. The national restaurant chain says it will suspend sales of pork at about a third of its locations due to concerns over the treatment of pigs. As NBC reports, a routine audit of one of the Chipotle pork suppliers found violations of the fast food company's animal-welfare standards, which require pigs be "raised with access to the outdoors or in deeply bedded barns, and without the use of antibiotics." Without meat from that supplier, there's not enough pork for all the chain's restaurants. Chipotle has not disclosed which supplier violated company standards, but added that such failures will not be tolerated - even if that means popular menu items, like pork carnitas, will be unavailable at hundreds of its locations. "The differences in animal welfare between pigs raised this way and pigs that are conventionally raised [are] stark, and we simply won't compromise our standards this way," a spokesperson for Chipotle told the Wall Street Journal's Market Watch on Wednesday. Although Chipotle is an unabashed seller of non-vegetarian entrees, the company has been a pioneer in proving that big profits don't have to come at the expense of humane practices. In fact, the company and its CEO, Steve Ells, have been among the most outspoken voices in the food industry when it comes to condemning factory farming methods. Ells pledges to "run our business in a way that doesn't exploit animals" in a letter on the company's website. Chipotle aired a touching advertisement during the 2012 Grammy Awards, distinguishing itself as a company that does things differently. With this recent announcement, it's reassuring to see Chipotle has kept its word.